my belly was full of pizza but there was still space to shotgun a beer in the game room at cici's. 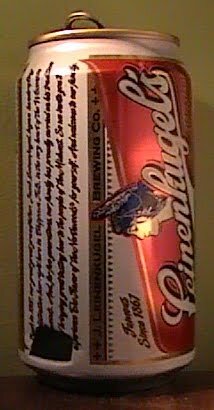 i've got a 24 pack of leinenkugel when i was on tour and had been slowly adding them to my daily beer diet because i like them and didn't want to run out...but now they are all gone. they have 3 more varieties in cans so if anyone can track them down i'd be happy to receive them.